An RCD is a life saving device that protects against dangerous electric shocks and reduces the risk of electrical fires. RCD stands for Residual Current Device. This is a sensitive switching device that quickly turns the electricity off when danger arises to reduce the risk of death or serious injury. Why do we need RCDs? Every year in the UK the Fire Brigade is called to over 10,000 incidents attributable to electrical faults. Half of these incidents are in the home and result in some 500 serious injuries and approximately twenty fatalities. Added to this, there are close to ten fatalities every year due directly to electric shocks as well as a large number of serious injuries. 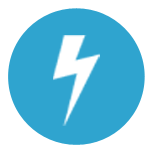 Residual Current Devices (RCDs) are electrical devices which when incorporated into an electrical installation, will provide the highest degree of protection against the risks of electrocution and fire caused by earth faults. 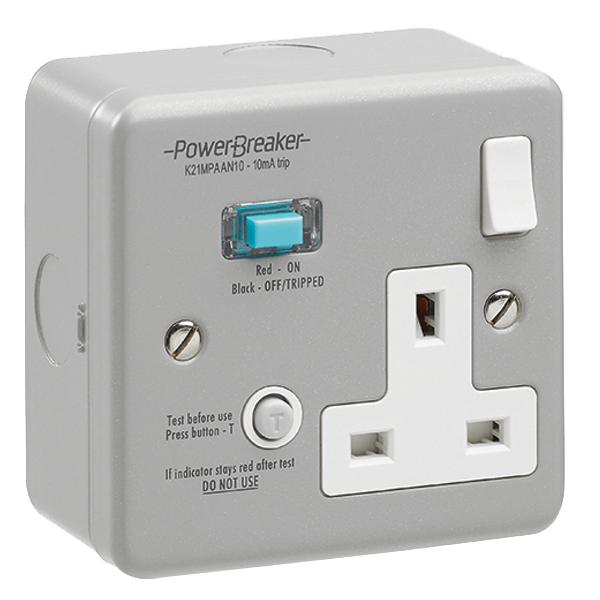 PowerBreaker Socket RCDs offer MFBL (Make First Break Last) contact technology, which is critical to avoid upstream RCD nuisance tripping at the consumer unit. GreenBrook continues to develop high performance products for use in every situation, so that the name PowerBreaker remains eponymous with residual current devices and the protection of life. An RCD protects by constantly monitoring the current flowing in the live and neutral wires supplying a circuit or an individual item of equipment. Under normal circumstances, the current flowing in the two wires is equal. When an earth leakage occurs due to a fault in the circuit or an accident with the equipment, an imbalance occurs and this is detected by the RCD, which automatically cuts off the power before injury or damage can result. To be effective, the RCD must operate very quickly at a low earth leakage current. Those designed to protect human life are engineered to trip out with an earth leakage current of 30mA within 200mS and at a higher earth current of 150mA, they will trip in less than 40mS. 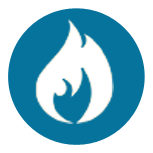 These limits are well inside the safety zone, within which electrocution or fire would not be expected to occur. PowerBreaker has a typical trip speed of less than 20mS.